Is your work day getting monotonous? 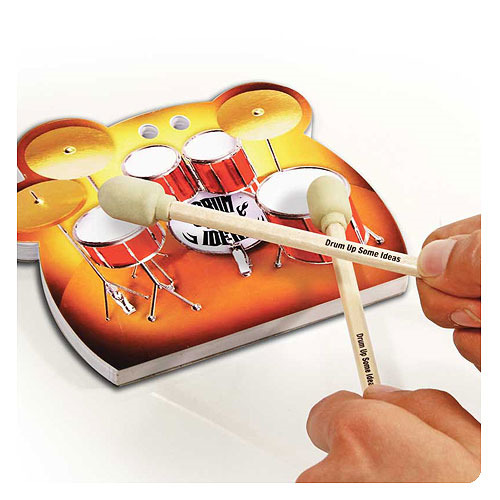 Get your very own desktop drum and drumsticks to add some rhythm to your day! The Drum Up Some Ideas Stationery Set contains a 200 page memo block, two pencils, and two drumstick erasers. A perfect item for any drummer! Ages 12 and up.